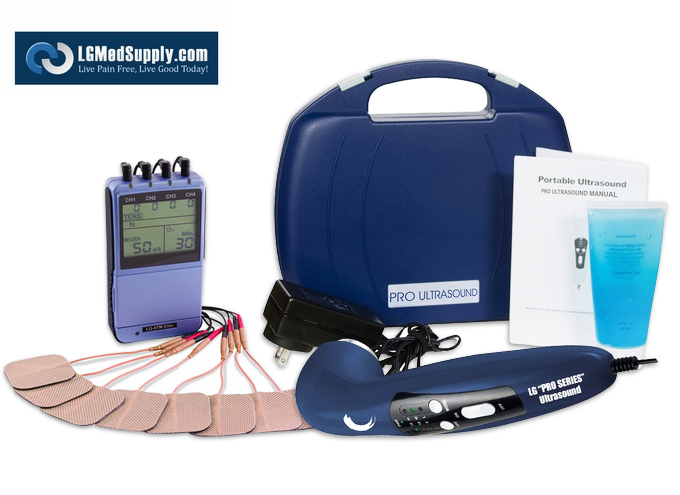 This kit consists of our "LG-8TMELITE" Combo 4 in 1 TENS Unit, Muscle Stimulator, Russian, and Interferential Unit in addition our Top "PRO SERIES ELITE" Ultrasound Unit. Relieve Pain, Rehabilitate, and Heal with the LG-EXTREMEKIT System. 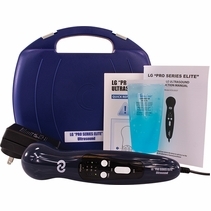 This LG-EXTREMEKIT combines the Clinical Version of �PRO SERIES ELITE� Ultrasound Therapy and our #1 LG-QUAD 4 in 1 Combo Unit in one Complete Kit. This Combination Therapy Treatment provides both clinical sound waves and electrical stimulation to provide you with the most effective results. Many therapists combine sound waves with electrical stimulation for faster and more effective results. The 5 different electrotherapy therapy treatments will provide you a FULL range of ELECTROTHERAPY STIMULATORS that are available for physical rehabilitation and recovery. Get the SAME PROFESSIONAL Ultrasound Treatment Therapy in the privacy of your home! THAN OTHER PORTABLE ULTRASOUNDS ON THE MARKET! The NEW LG PRO SERIES ELITE Ultrasound Unit generates DEEP ultrasonic sound waves within the body tissues for the treatment of a variety medical conditions. Ultrasounds assist with repairing scar tissue, circulation, and overall faster healing. Thousands of patients are benefiting with the LG PRO SERIES ELITE Ultrasound Therapy Unit. Use a quality ultrasound in the privacy of your own home on a more consistent basis. Our LG PRO SERIES ELITE is a cost-effective professional, FDA Approved, portable ultrasound unit that is used in both clinical and home settings. The LG Professional Ultrasound Unit comes with everything you need for immediate use including a Carrying Case, Sound head probe, Ultrasound Gel and an AC adapter. Simply plug in your Ultrasound Unit, apply gel to the treatment area, and move the Ultrasound probe in a circular motion. The LGMedSupply Professional Ultrasound has 3 Modes - Low, Medium, and High. 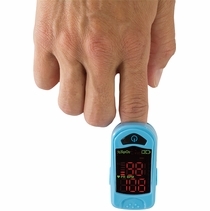 It has a built in treatment timer and is simple and easy to use. Simply apply as small amount of ultrasound gel (included) to the treatment area. The gel acts as a coupling substance and ensures effectiveness. Make sure to move the Ultrasound Probe in SLOW CIRCULAR MOTIONS. The goal of Ultrasound is DEEP PENETRATION into the tissue. You will feel very slight heat on the surface of your skin. 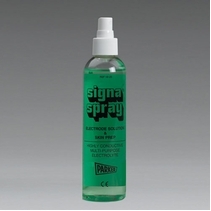 With consistent use, you will notice a a significant improvement in the body area. Ultrasound Therapy will increase blood flow, reduced swelling and inflammation, improved flexibility, and breaking up of scar tissue. Use the ultrasound once a day for a 15 minute intervals on each treatment area. Utilize the Ultrasound and to recover quickly and get back to your daily routines. 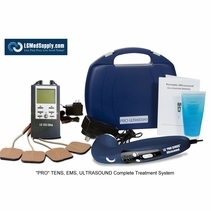 The LGMedSupply Professional Series Elite Ultrasound Unit comes with a 5 Year Warranty and Satisfaction Guarantee. It comes with everything including Carrying Case, Ultrasonic Head, Ultrasonic Gel, AC Adapter, Quick Start Manual, and Instruction Manual. HOW DOES AN ULTRASOUND WORK? The LG "PRO SERIES ELITE" Therapeutic Ultrasound device generates pulsed high frequency sound waves (1MHz) that are transferred to specific areas with a sound-headed probe. The Pulsed Sound Waves travel deep into the tissue generating vasodilation, which helps increase the blood flow to the treated area. Most patients will feel nothing at all DURING treatment, while some may feel a very slight warmth. 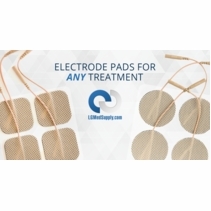 USE UP TO 8 ELECTRODES - FOUR PROVEN MODALITIES! 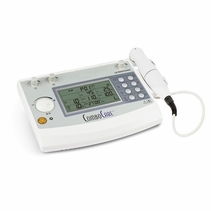 The LG-8TM Elite Combo Pain Relief System is a four (4) Channel Device that combines TENS, EMS, IF (Interferential) and Russian Stimulator Therapy in a single portable unit. With separate intensity controls for each channel and fully adjustable parameters, patients can easily customize their treatment. In addition, with four channels, patients have the ability to treat large areas (entire back) or multiple treatment sites at the same time. Other features include adjustable ramp time, large LCD screen display, two treatment timers and patient compliance meter to store operation records. It also has batteries and a charger for use at home or away. TENS machines are small portable, battery-operated devices which is worn on the body. The box is attached by wires to sticky pads stuck to the skin. Small electrical pulses are transmitted to the body, like little electric shocks. 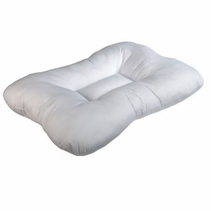 This is used to drastically to ease both acute and chronic pain. Electrical muscle stimulation (EMS), also known as neuromuscular electrical stimulation (NMES) is the elicitation of muscle contraction using electric impulses. There are two main classes of usage: medical and recreational. Muscle needs to be reconditioned or reeducated after certain events like an accident, long periods of immobility, or in disease. 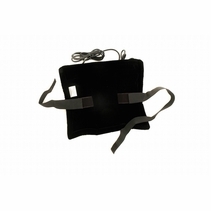 It is often used on a patient suffering atrophy or some muscle problem to gain range of motion, train the muscle and central nervous system, and force past psychological barriers that my have been caused by accident. 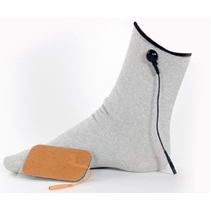 Russian stimulation is a form of electrical stimulation that uses electricity to contract muscle tissue. After injury or surgery, you may be experiencing muscle weakness. Often, muscles are inhibited after an injury and are unable to generate a forceful contraction. 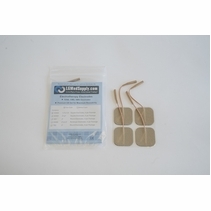 Russian stimulation is used to help improve the contraction of your muscles. Trainers use this on athletes and to help make them stronger and pass through barriers. Some report it offers improvements of up to 40% if used properly. It it used by many athletes in Russia, thus the name. The basic principle of Interferential Therapy (IFT) is to utilize the significant physiological effects of low frequency (<250pps) electrical stimulation of nerves without the associated painful and somewhat unpleasant side effects sometimes associated with low frequency stimulation. 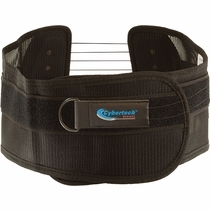 Interferential current is essentially a deeper form of electrical stimulation. Depending upon the parameters that are selected, there can be an increase in localized blood flow and stimulation of local nerve cells that can have a pain reducing/analgesic effect due to potentially blocking the transmission of the pain signals. In addition, Interferential Currents overcome some of the muscle inhibition often caused by local injury and edema. Treatment Time Two adjustable timers, from 1 to 60 minutes or continuous. Adjustable in 1 minute each step from 1 to 15 minutes, and 5 minutes each step from 15 to 60 minutes. Treatment time counts down automatically. Patient Compliance Meter This unit can store 60 sets of operation records. Total recorded time is 999 hours.